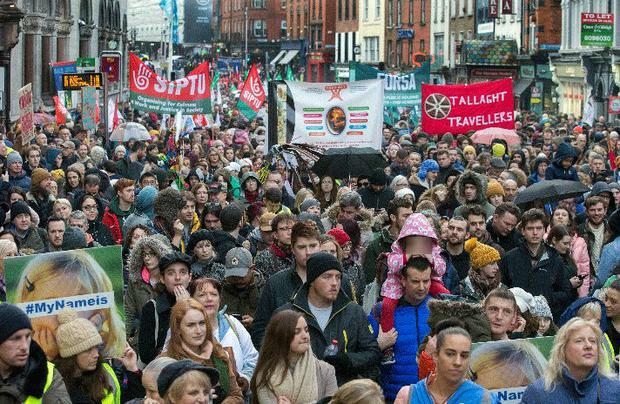 Thousands attend the Home For All rally on Dame Street. 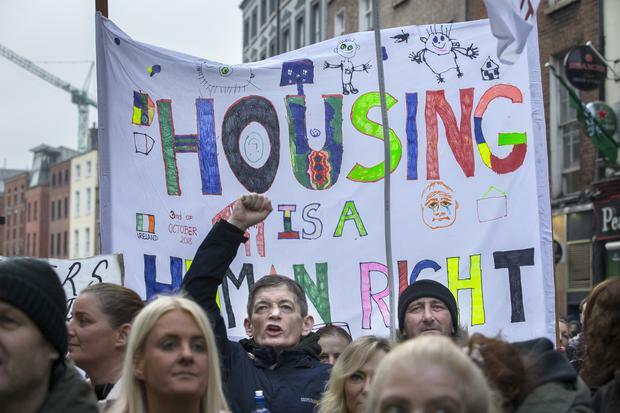 UP TO 15,000 people have taken to the streets of Dublin in the latest campaign to highlight Ireland’s housing crisis. 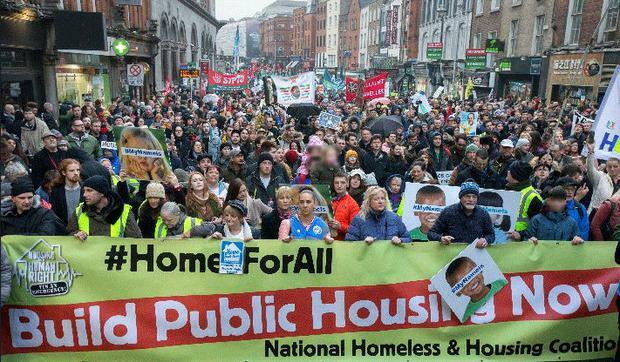 The protest was organised by the National Homeless and Housing Coalition, a collective group of campaigners that includes unions and homeless activists, who are calling for better housing conditions. It comes days after the Housing Department released its homeless figures for October, which now stands at 9,724, an increase of 26 people. “The policies of this Government do not help the people and they do not build the public homes that we need to house our people. People are disgusted. “(Housing Minister) Eoghan Murphy and Fine Gael tried to tell us that everything was Okay. They talk about the economy and they want us to think we all have highly paid jobs. They want us to believe that everything is okay. We are saying it’s not okay. “In the last four years the number of children facing Christmas in emergency accommodation has gone up 450 per cent.